You are browsing the archive for 2019 March 14. 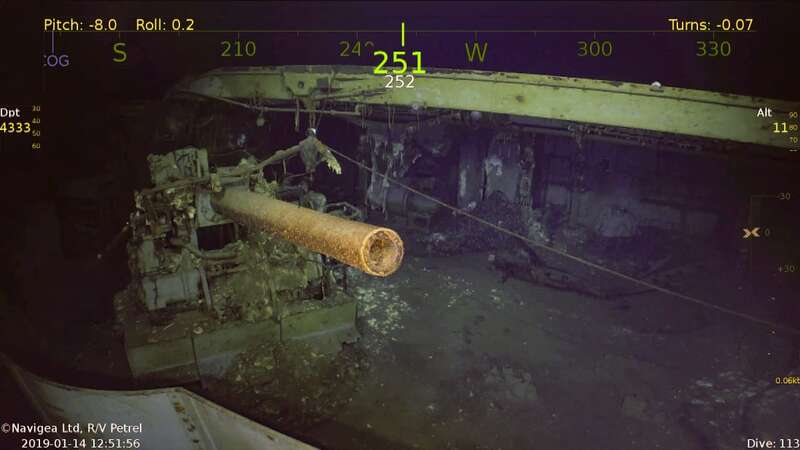 When Japanese planes bombed , USS Helena, and USS Hornet. As for the Wasp, it lives on: Today, it’s the name of an amphibious assault ship, the tenth to bear its name. Truman, Eisenhower, Kennedy, Johnson and Nixon all deepened U.S. involvement in the decades-long conflict. At the end of World War II, the United States was broadly popular in Vietnam for having repelled the Japanese occupiers. Even Ho Chi Minh, the nationalist and communist revolutionary, started off pro-American. But, through the terms of five U.S. presidents, that relationship deteriorated and the United States and Vietnam found themselves at war. Initially, many Vietnamese appreciated the anti-colonial views of President Franklin D. Roosevelt, who opposed the return of the French colonizers and who asserted in a charter that all people had a right “to choose the form of government under which they will live.” During World War II, Ho Chi Minh received arms from the CIA’s predecessor, helped locate downed American pilots and gathered intelligence on Japanese military positions. Then, on September 2, 1945, the day of Japan’s official surrender, Ho quoted from the U.S. Declaration of Independence as part of a speech in which he implored the Allies to recognize Vietnam’s independence. He later made multiple additional attempts to get the United States on his side. The increasing alarm over the spread of communist rule, however, would throw the U.S.-Vietnam relationship off track and eventually into war. Presidents Truman, Eisenhower, Kennedy, Johnson and Nixon oversaw the conflict, which ratcheted up in intensity as the years passed by. Though each president expressed doubts in private about American involvement, none wanted to be blamed for losing Vietnam to the communists. The war would eventually claim the lives of more than 58,000 Americans and some 3 million Vietnamese. 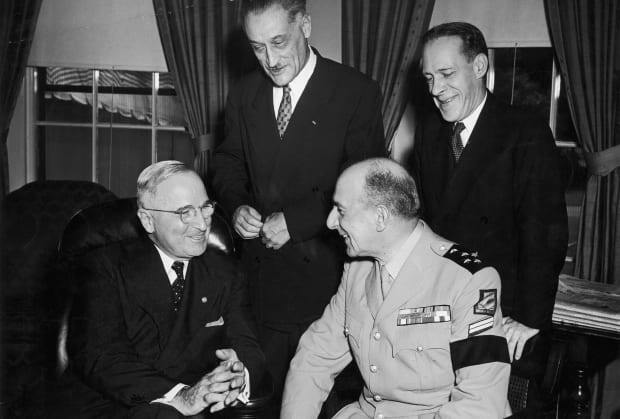 President Harry Truman meets with Jean de Lattre de Tassigny, French military commander in the the first Indochina War, and Henri Bonnet, French ambassador to the United Sates from 1944-1954. State Department officials in Asia warned Harry Truman, who became president in 1945 upon Roosevelt’s death, that French rule of Vietnam would lead to “bloodshed and unrest.” But Truman did not share his predecessor’s anti-colonialism and ultimately acquiesced to the reestablishment of France’s prewar empire, which he hoped would shore up France’s economy and national pride. It was one of the most audacious acts of the Irish-American members of the Fenian Brotherhood. 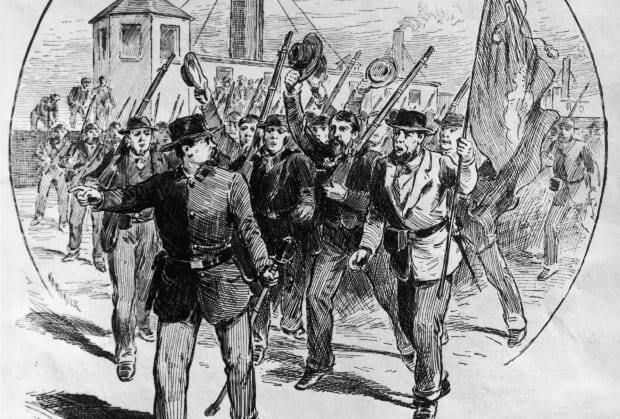 In the spring of 1866, a band of Irish-Americans who fought on both sides of the , that had been built in British ports. In addition, many Americans hoped Canada would become the next territory to be absorbed by the United States as it fulfilled its expansionist Manifest Destiny. The U.S. govern­ment sold surplus weapons to the Irish militants, and Johnson met personally with their leaders, reportedly giving them his implicit backing. The Irishmen were free to establish their own state in exile—complete with their own president, constitution, currency and capital in the heart of New York City. First forays across the border were victorious. Summoned to the battlefront in late May 1866, O’Neill left behind his wife, two-month old son and business worth $50,000 in Nashville to attack Canada. When the invasion’s commanders failed to show in Buffalo, New York, O’Neill was given the reins to the 800-man attack force, which called itself the Irish Republican Army. O’Neill proved to be a talented commander and tactician when he confronted a combined British and Canadian force the following day outside the village of Ridgeway, 20 miles south of Niagara Falls. Although outnumbered, the grizzled army of Civil War veterans used its experience to rout a makeshift defense force that included farm boys and University of Toronto students who had never once fired a gun. O’Neill followed that up with another triumph in a guerilla fight through the streets of Fort Erie. It marked the first Irish military victory over forces from the British Empire since 1745. A cartoon illustrating a Canadian kicking a representative of the Irish Fenian movement out of Canada and back to America where President Grant is waiting. On this day in 1836, after 13 days of intermittent fighting, the Battle of the Alamo comes to a gruesome end, capping off a pivotal moment in the Texas Revolution. Mexican forces were victorious in recapturing the fort, and nearly all of the roughly 200 Texan defenders—including legendary frontiersman Davy Crockett—died. Thirteen days earlier, on February 23, Mexican General Antonio Lopez de Santa Anna ordered a siege of the Alamo Mission (near present-day San Antonio), which had been occupied by rebel Texas forces since December. An army of over 1,000 Mexican soldiers began descending on the makeshift fort and setting up artillery. Over the next two weeks, the two armies traded gunfire, but there were few casualties. Despite being clearly outnumbered, Alamo co-commanders James Bowie and William Travis insisted on remaining in place. The volunteer soldiers defending the Alamo included doctors and farmers, as well as Tennessee frontiersman and Congressman Davy Crockett, who fought in the Tennessee militia. The final attack came before dawn on March 6. Mexican troops breached the north wall and flooded into the compound, awakening many of the Texans inside. The fighting lasted 90 minutes, some of it hand-to-hand combat. Bowie and Travis were killed, as was Crockett, although reports differ as to exactly how and when. Several Texans reportedly surrendered, but Santa Anna ordered all prisoners be executed. Only a handful survived, mostly women and children. Historians estimate several hundred Mexicans died. After the battle, the Mexican army marched east. Meanwhile, commander of the Texas forces, Sam Houston had been building and developing his army in Harris County. “Remember the Alamo!” became their rallying cry as an urgent reminder to avenge their earlier defeat. On April 21, Texas and Mexico fought again at the Battle of San Jacinto. Texas was victorious this time, and won independence from Mexico, bringing the Texas Revolution to an end. The defense of the Alamo remains a symbol of resistance to oppression and revolutionary spirit. The battle has been immortalized in several TV series and films, including 1960’s The Alamo, starring John Wayne as Davy Crockett. victory. Rumors of tentative agreements were flying. might play his claimed role as negotiator-in-chief. limitations and ended the Cold War. capabilities and advancing American security. “senior” administration official, apparently U.S.
denuclearization” within the president’s first term. completely disarm by January 20, 2021.
be catastrophic, for both Koreas, Northeast Asia, and America. which de facto if not de jure concluded 66 years ago.